To qualify for the $4,000 incentive, pre-owned Leafs must be from the 2013 or 2014 model years and have been previously registered outside Quebec. MONTREAL — Nissan is launching a program to sell or lease quality-assured, used Leaf electric vehicles in Quebec, which will qualify for the province’s Drive Electric incentive program. 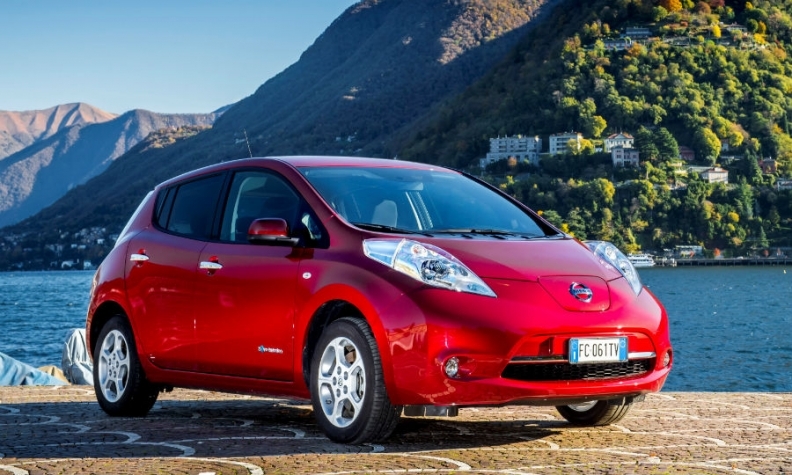 “This marks the first time Canadians have the option of owning a previously owned fully-electric vehicle while still benefitting from a provincial incentive,” Nissan Canada said in a news release. To qualify for the $4,000 incentive, pre-owned Leafs must be from the 2013 or 2014 model years and have been previously registered outside Quebec – to avoid incentive double-dipping, said Didier Marsaud, spokesman. The Nissan program will include U.S. Leafs, which will be modified to meet Canadian regulations, including OEM daytime running lights, metric instruments, winter package and a Quick Charge port to accept Level 3 DC charging. Quebec this year launched a pilot program offering up to $4,000 for eligible used all-electric vehicles, part of its Drive Electric program to have 100,000 electric or plug-in hybrid vehicles on provincial roads by 2020. Nissan is also offering low-interest loan and leasing as part of its program.